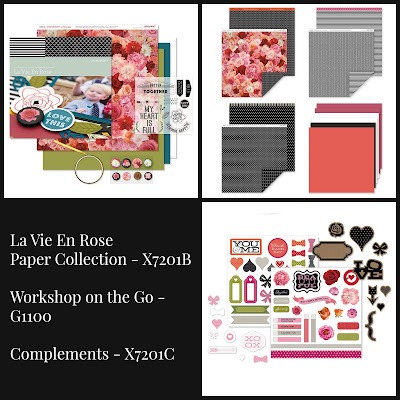 January's theme is Black and White with a Splash of Color and my featured paper collection works perfect -- La Vie En Rose! This paper collection showcases black and white in all the different patterns and there is a splash of color with the floral pattern. My first project is a pop up box card trimmed in one of the black and white patterns from La Vie En Rose and filled with hearts from the La Vie En Rose Complements. 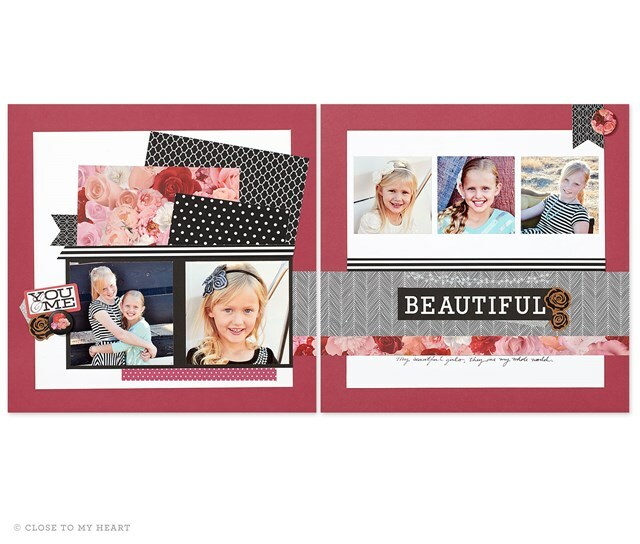 Here is a great layout showcasing the beauty of this paper collection. More artwork to come throughout the month. Your comments are very welcome!! Your layout and cards are beautiful! The stamp set with the WOTG is really cute and the value is the best!